Congratulations to the C-ROADS team for winning the System Dynamics Society’s Applications Prize! 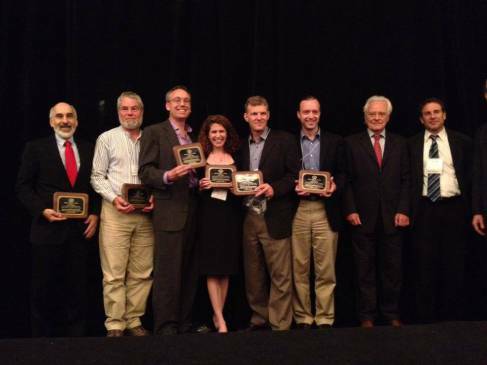 Left to right: John Sterman (MIT Sloan), Phil Sawin, Drew Jones, Lori Siegel (CI), Tom Fiddaman (Ventana), Travis Franck (CI), Erich Zahn & Jack Homer (for the Society). Not shown: Beth Sawin (CI) and numerous other collaborators and partners who made the work possible.